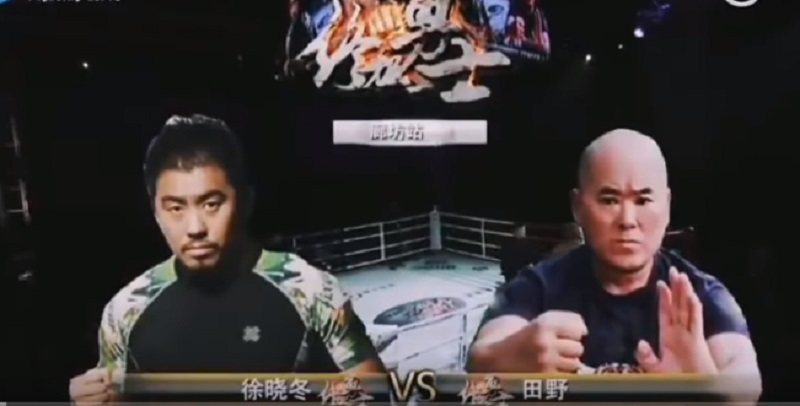 Known as “Mad Dog,” the outspoken 40-year-old fighter took on 56-year-old Tian Ye in a one-sided battle under kickboxing rules in China over the weekend. According to South China Morning Post, a wealthy Chinese businessman offered Tian 30 million yuan ($4.4 million) in prize money if he can beat Xu and a guaranteed 3 million yuan ($443,000) even if he lost. 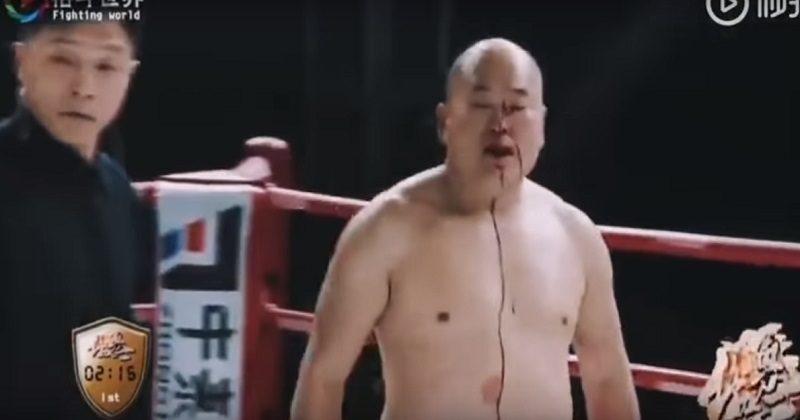 Xu, who has ‌foug‌ht and de‌feat‌ed numerous kung fu practitioners in the past, left Tian heavily bruised and injured by the end of their match. Tian began by throwing a flurry of punches but was countered by Xu, who threw a combination of elbows and punches to the face. After 30 seconds, the referee pulled the‌ fig‌h‌ters apart as blood began to flow from Tian’s broken nose. Tian’s trainer indicated to the referee that the fight should end due to the injury. 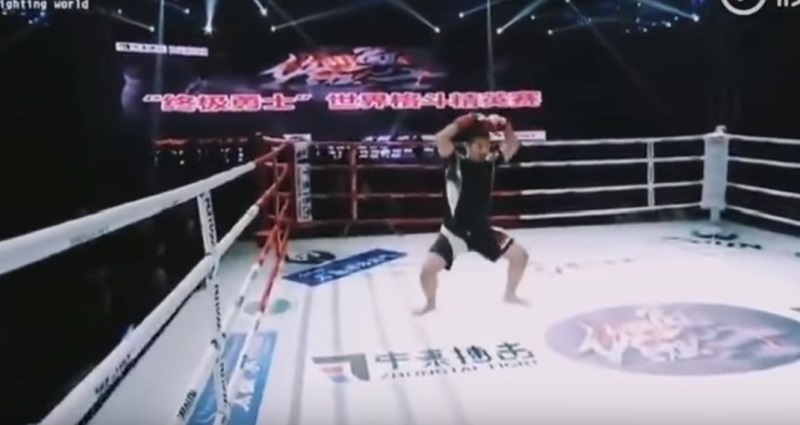 Xu then started mocking his opponent by dancing and making gestures in the ring. 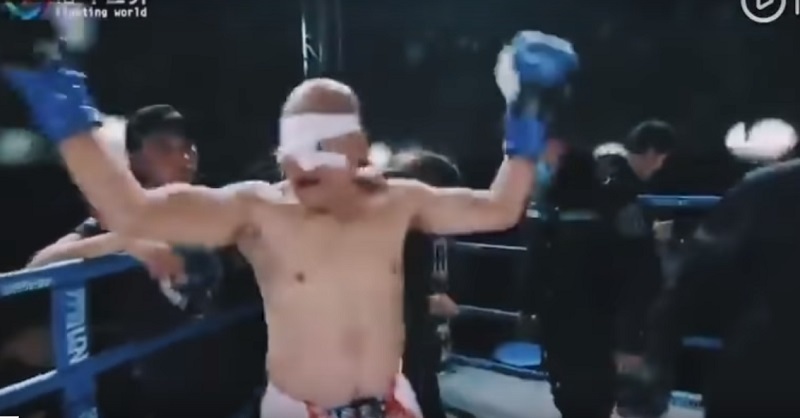 Viewers can be heard chuckling in the background as Tian re-emerged with his face so heavily bandaged that his eyes and nose were nearly covered entirely. Tian started with a barrage of punches while Xu responded with some kicks to Tian’s legs. Xu eventually dropped Tian with an overhand left. The round ended with Tian trying to punch Xu from behind as he was walking away after throwing a spinning back kick. Round two continues with similar action: Tian throwing ineffective punches while Xu giving him occasional kicks to the legs until Tian tired himself out. At the 1:27 mark of the second round, Xu decided to end the fi‌g‌ht by charging forward with a flying knee that landed on Tian’s right rib area. Meanwhile, the heavily bruised Tian also took the center of the ring to give a wave to the crowd. Xu’s fi‌g‌ht with the much older f‌ig‌hter that obviously lacked MMA training sparked the expected debate online. 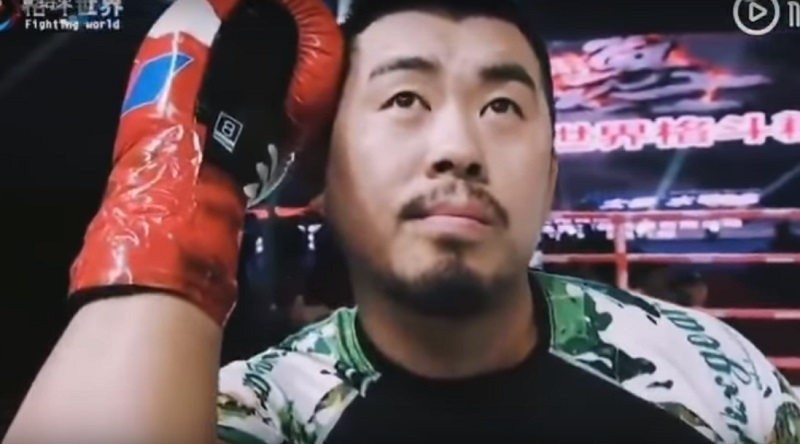 “Xu Xiaodong is not a good fighter by any means, but that’s the whole point, even a s*** fighter can destroy these so-called masters that claim to have deadly martial art skills, these people are closer to scam artists then martial artists, they seek undeserved attention and praise by claiming to be unbeatable fighters,” a netizen pointed out. “Fi‌gh‌ts like this don’t make traditional martial arts look good. I’m surprised that almost a year after Xu Xiaodong’s first fi‌g‌ht there hasn’t been a m‌ar‌t‌ial artist serious enough to challenge him,” one YouTube commenter wrote. “Xu Xiaodong should at least fi‌gh‌t someone who is younger or fit. Him fi‌gh‌ting all these old men is pointless,” another user said. “The reason f‌ig‌hts like this matter is because there is this idea in Asian martial arts that size and age can stop mattering in a fight when the technique is applied, which is total c***,” one pointed out. “Put any 56-year-old kung fu martial artist who has ever lived against Yoel Romero or Jon Jones and they will get murdered. These martial arts do not work and their philosophies are flawed and harmful,” chimed another. “I don’t agree with how he disrespects traditional martial arts, but eventually traditional martial arts was going to get called out,” one commenter wrote.